After working in the field of Early Childhood Education for 17 years, Terry Manrique noticed a missing resource for families, schools, specialists, and pediatricians. “Families only had two options to deal with the misbehaviors of young children: seek advice from their pediatricians or Early Child Intervention specialists,” she explains. “There was an obvious need for parents to achieve the changes that they desired without resorting to extreme measures,” Manrique says. So, she launched Working with Parents, LLC, where she’s able to provide families the support, guidance, and proper training needed to reduce unnecessary misbehaviors exhibited by their children. 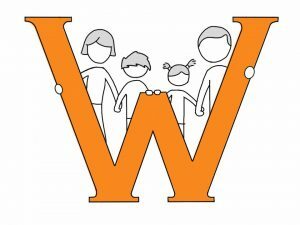 Working with Parents is a unique service that helps parents succeed in their role as parents and has an even bigger impact on the children with which Manrique works. “I’m able to be a voice on behalf of children regarding the extreme challenges they may face when dealing with stressful situations,” she says. 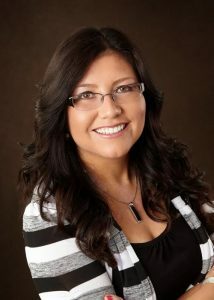 Manrique’s 23 years of experience allows her to work closely with both the adult and the child simultaneously which, she’s come to learn over the years, is very hard to come by. Working with Parents started in April 2011 in Chicago, with Manrique working with the families that attended the pre-school where she was a director. “One of the families asked me if I could go into their home and help them with some ongoing behaviors they were experiencing,” she recalls. “I was able to make a big difference. It was a huge success. Quickly, word spread throughout the school and Working with Parents, LLC was created,” she adds. Manrique is proud that, after six years of being in Ohio, she still gets referrals and continues to have clients in Chicago. Manrique also developed the C.P.R. for Parents philosophy as part of Working with Parents. CPR is an acronym for Compassion, Patience, and Respect. “No matter the age of the child, administering C.P.R. can help parents reduce or eliminate misbehaviors, and dramatically change the dynamics in the household,” she says. First and most importantly, there needs to be a connection between the parent coach, the parents, and the child(ren). Having someone there that’s nonjudgmental, but compassionate of their situation, is extremely important. Most clients contract me for 3 days. Within that time, I’m able to assess the challenges, put in place a new structure leveraging the CPR Parenting philosophy, and drastically reduce or eliminate the challenging behaviors. Peace of mind! I can’t tell you how many times – at the end of our sessions – when I say bye to the parents, they have tears of joy in their eyes because a behavior they’d been dealing with for so long has suddenly been dissolved. 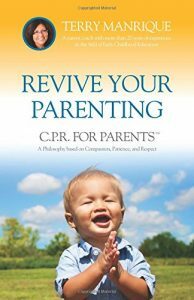 Manrique also recently wrote a book, Revive Your Parenting: C.P.R. for Parents. The book is designed to reach more parents and help them create positive changes in their household. “Many who have read it, say it’s as if I am right there with them,” she shares. Manrique details how the layout of the book is the same formula she uses with clients to get to the root cause of the situation quickly and to properly apply the C.P.R. for Parents philosophy. The book can be purchased through Manrique’s website: www.ourparentcoach.com/book. And it’s available for purchase on Amazon or Barnes & Noble. Starting in late January, Manrique will offer a 4-hour workshop for parents based off the book. Dates will be announced soon, so be on the lookout, as it’ll be limited to small groups of five couples. You can learn more about Working with Parents, LLC by visiting online at www.ourparentcoach.com. And follow on Facebook, LinkedIn, and Instagram: @terryparentcoach.